The chalk white horse carved into the hillside in the North York Moors provides a dramatic scene which is two-fold. One is the view of the gigantic creature etched into the earth from miles around. The other is the breathtaking panoramic vista from the top of it. Brace yourself for a short, sharp and very steep climb from the car park below the figure. The stone steps lead up to the horse, which was the brainchild of local Kilburn man Thomas Taylor in 1857, who thought the majestic Yorkshire hills deserved their own grand chalk figure to rival the south's sculptures. Walkers and countryside enthusiasts out there will be thankful he did, because the views are a wonder to behold. The sight of the rolling hills, the forests, the fields, the endless sky is, quite frankly, good for the soul. 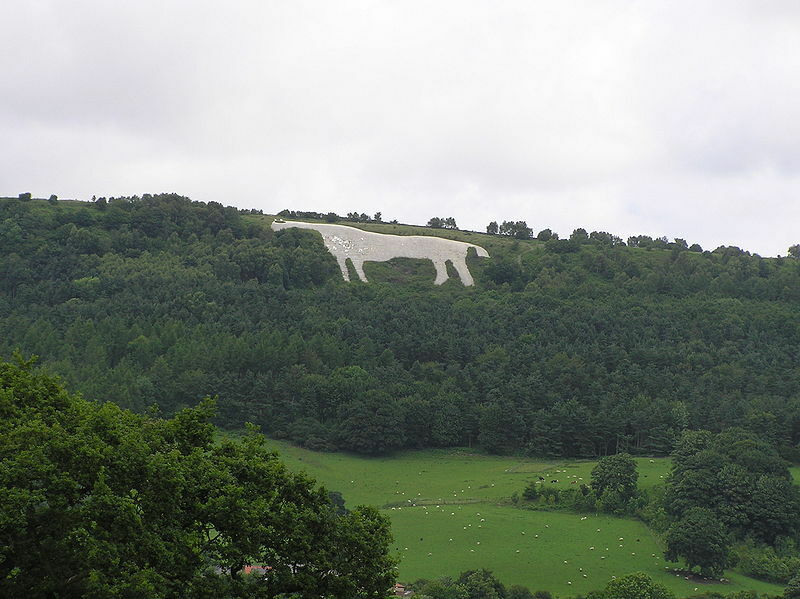 The White Horse itself is 220ft high and was such a beacon in the land that it had to be covered during World War II to ensure enemies couldn't use it for navigation. The views from the landmark are considered by some to be the very best in Yorkshire (and that's saying something). On clear days the figure can be seen from as far away as Leeds, 28 miles away. The horse was designed by local schoolmaster John Hodgson and made with the help of his pupils and volunteers. In 1925, after severe weathering of the horse, a Yorkshire Evening Post campaign secured its future, with readers investing in its restoration. A team of volunteers called the Kilburn White Horse Association now ensure it is maintained.